There are many variations of water heaters making it overwhelming and difficult for homeowners to know which type of water heater would be the best choice for their home. Here we will go over the two most popular water heater types – direct vent and power vent. 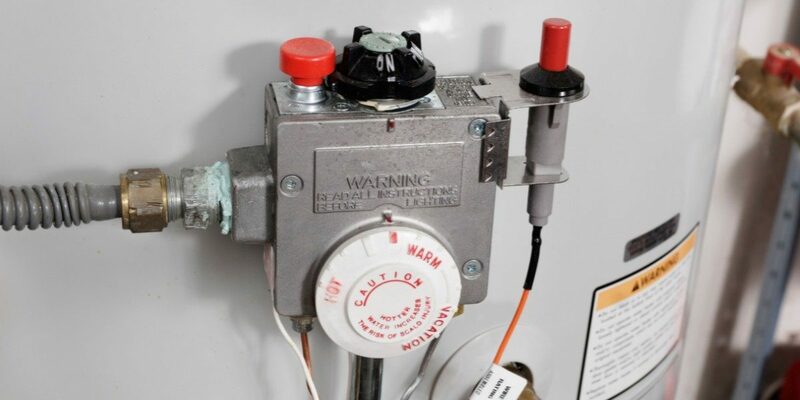 The difference between the two water heater types is combusted from the burner to the vent system. A direct vent water heater vents these combustion gases to the atmosphere, while a power vent water heater removes them with the aid of a powered venting fan. Direct vent water heaters are very popular in the Northern Colorado area. In a direct vent water heater, fuel is burned and the heat from the combustion process is used to heat the water. The exhaust gases are then transferred to the outside of the home via the exhaust pipe or chimney. Direct venting works because the heated air is lighter than cool air and in turn, will rise naturally due to the difference in buoyancy between the hot and cold air. This is a simple system that works well when the exhaust gases can be vented vertically. No extra power is needed and in turn, the overall hot water heating costs are lower. A power vent water heater uses a fan or blower to assist in the removal of exhaust gases from the hot water heater. 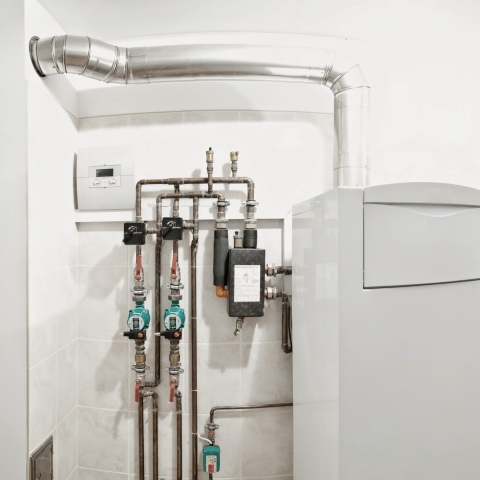 If the water heater is installed in a location that doesn’t have access to a vertical vent or chimney, a power vent water heater may be your only option. Exhaust gases can be pushed through horizontal exhaust pipes with the use of a fan or blower. The main benefit of a power vent water heater is the ability to locate the water heater away from a chimney. If there is no chimney available, horizontally venting the water heater to the outside through inexpensive venting pipe instead will also benefit the homeowner by saving money. This type of water heater is more common in certain areas of Northern Colorado such as Loveland, Fort Collins, and Longmont areas. A power vent water heater will cost more initially due to extra equipment needed such as the fan and blower. Also, you will need to run a power line to the fan which will also add to the cost. Another downside to this is that the blower portion of the water heater will need electricity to operate and will increase your hot water heating costs throughout its lifetime. Finally, it is known for some people to complain about the sound of the fan running when the hot water heater is operating. While it’s probably only a minor concern, it’s something that should be seriously considered. Proper installation can help to eliminate, or minimize most of this. Whichever water heater is right for you, depends on your situation with respect to access to a vertical vent (vent stack) path or chimney. To get more information about what type of water heater would be best suited in your home, call the plumbing experts at Ace Hi Plumbing, Heating & Air today at 970-667-0300.